A shot of flavour, a nourishing meal in one, a delicate entree - soup epitomises versatility, ease and resourcefulness. Soup is the ultimate comfort food and thrifty cooking at its best. In this inspired book, the soups are classified by occasions rather than just ingredients: you can create a whole dinner party around one soup, cook a healthy lunch that will make your colleagues jealous, be creative for very little money, use up leftovers, or get your summer picnic sorted. From wholesome butternut squash and carrot and pumpkin, to classic tomato or minestrone this book has a recipe for soup all year round. 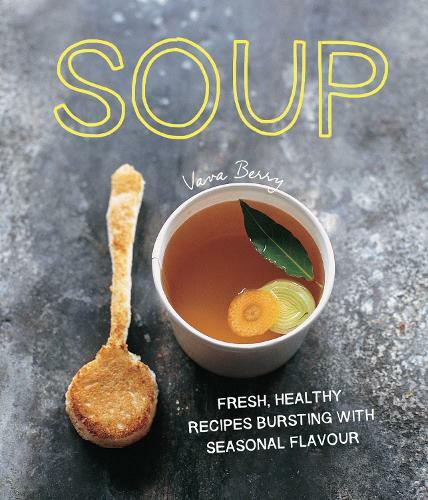 With stylish photography and appetising recipes drawn from around the world, Soup! will inspire you and above all makes cooking easy.